I often have lots of little goings-on which I want to mention on the blog but don't have enough to say to dedicate a post to. So over the next few week's I'll be posting a series of photo diaries including pictures old and new to ensure these little snippets aren't lost forever. 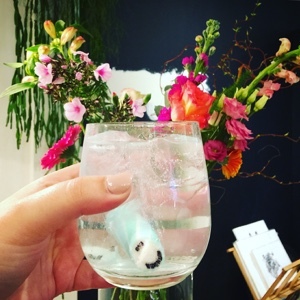 Last month I attended an event hosted by Tabl, the iconic supper club website, where I enjoyed a rather amazing G&T from Brighton Gin. Distilled by the seaside and served with a stick of rock that slowly turned the drink a deep ocean blue, expect fresh orange and classic juniper notes from this small batch spirit. Monday 18th marked the 97th birthday of my nephew's Great Great Grandma Rose. 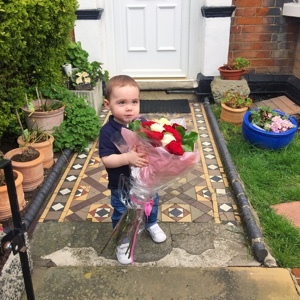 Armed with a bouquet of red and white roses (obviously) we visited her to wish a very happy birthday along with copious bars of fancy soap and tubs of jellied eels. This little gadget was delivered to my home on Friday, and what good timing it was! 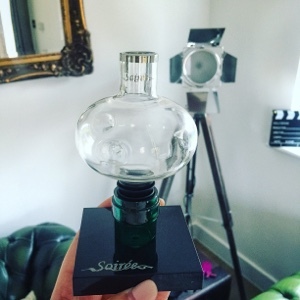 This hand blow glass bauble is a wine aerator; it blasts oxygen into your wine meaning there's no need to decant it - genius! Full review to follow soon. 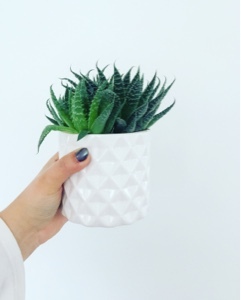 I have to admit, I'm not a massive Tesco fan, but lately they've been selling some killer plants! 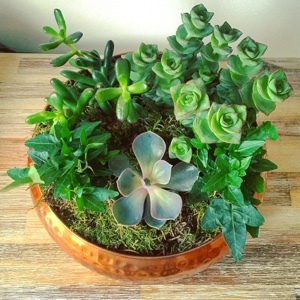 The Aloe Vera in the header picture and above succulent planter were both purchased during the last week in their Epping store at really reasonable prices. M&S and Ikea, watch out! It's that time of the year where we receive the occasional bright spell to start enjoying the garden, or allotment, again. 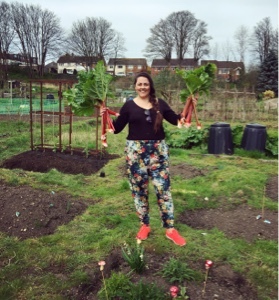 We've been hard at work with the in-laws to get our plot up to scratch again, and although it's been a cold start to the year I've managed to harvest the first of the rhubarb - many crumbles and cordials to come. 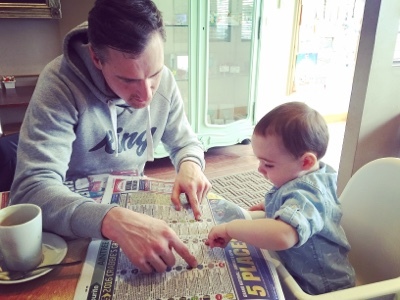 A few weeks ago we treated our nephew Riley to a spot of breakfast whilst we picked our Grand National horses in order to place our only bet of the year. Riley seemed pretty interested in the paper and kept pointing to a jockey with a star on his jersey. We decided to place a small bet on his behalf and you'll never believe it... he only went and won with Rule the World! Looks like the little chap will be enjoying another term of swimming lessons with his winnings. 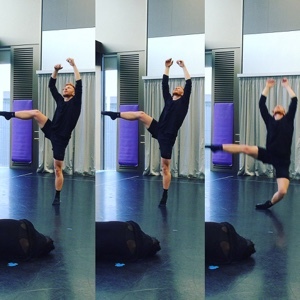 Earlier this month I attended the studio showcase of RISE by Chrysalis London and was totally memorised by the sheer talent the dancers. You can read my review article on Unmissable here. 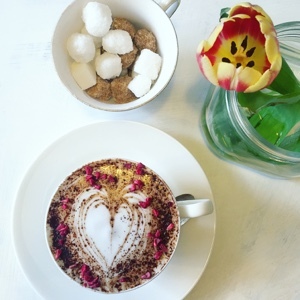 It's always hard finding a good cup of Chai, but local independent coffee shop Dada in Epping has got the formula down to a T. If you can manage to get a table in the tiny premises their drinks come complete with a drink of pretty pink dried raspberries - delicious.